I've noticed that our attempts to get this retromod to work dating back to the summer of 2013 has spawned many other 'how to' threads in other forums. It is nice to see that our work here is reaching the wider Mustang community. I'm glad that it is catching on. Zeroaviation and dmhines are the big guns here. Lexiion, Deerslayer, Blue Eyed Snake and Ajturbo also contributed towards this. If there are others I missed, please pm me and I will add the name to the list. If I missed something here, please PM me and I'll fix it, or just post the correction here. This thread is so members don't need to go through 70+ pages to get the required info. Last edited by jim010; 7/8/14 at 11:13 PM. The 2013/14 premium cluster with the 4.2 inch LCD display and Track Apps can be retrofitted to 2013/14 cars that only have the base cluster can be upgraded. It is fairly painless to do. You can order the cluster new, but will need to give the dealer a VIN from a car that already has the premium cluster. You will also need to provide your mileage. It is only a matter of taking off the dash panel, unscrewing the old cluster and pulling it out. Then unplug it and plug in the new cluster. Then PATS will need to be done, or you won't be able to start your car. PATS is the cluster recognizing the chip in your key and then allowing the car to start. The dealer can do this. Now you have the cluster installed and fully functional. I just recently bought a cluster that did not have track apps in it. It was from a V6 car. No problem. Have the dealer do a PMI on the cluster using the VIN of a 13/14 car that is optioned similar to yours and has track apps. Use Ebay to look for VINs you can use and use the links provided at the top for checking to see if the car has the options you need. Last edited by jim010; 4/15/15 at 12:04 AM. The 2013/14 premium cluster with the 4.2 inch LCD display and Track Apps can be retrofitted to 2011/12 cars with a little more work. So the new cluster needs to be installed. PATS has to be done as well, just like the 13/14 cars. Now you will have the cluster functioning, but you will not have Track Apps or the digital guages working. Also, you will need to install the new switch. Cruise control will not function, however. And you will need to wire up the 5-way message info center buttons (see the next post for that). You could leave it here if you do not wish to go any further with this, as everything else in the cluster works just fine. See a post below for modifying the cruise control switch to get it working. If you want full functionality, then to get Track Apps working, you need to get the ABS module listed above. Remove the air filter box, as the ABS module is located under there. Switch them out. You may also need a corresponding 2013/14 VIN. When done correctly, you will now have fully functioning cluster. For 2011/12 automatic owners, if you program the PCM to a 2013/14, then you will also need to upgrade to the Select Sport Shift automatic shifter. This is NOT plug and play, but is a real pain. Using the Black Box from Redlinersperformance.com is a better option here for automatic owners. If you go with the black box, then you do not need to mess with the auto shifter at all. But if the PCM is programmed, on the old shifter, when you manually put the car into 1, 2 or 3, the cluster will show an error (a wrench symbol) that will need to be cleared using a diagnostic tool every time it comes up. It will shift normally, but the PCM is getting confused as it expects Select Sport Shift. To correct this, get the Select Sport Shift automatic shifter box. You really only need the shifter **** with the button, but the old shifter bezel will still have the 1 2 3 on there, which is no longer used and will make the error message come up if you do shift into them. The new box will only show S only and not allow the shifter to move past the S. I also had to make a block and screw it into place to prevent selection of those gears manually using the shifter. Also, hill assist is no longer functional - but you could just add it as an extra and put the button for it somewhere, like I did. It is redundant with the select shift anyways. The wires from the **** will need to go all the way to the PCM at the front of the car. Thanks to Lex for getting the the info on how to route wires from the cabin to the PCM. It wasn`t too bad. The passenger side wheel and inner plastic wheel cover has to come out. Behind it you will see wires running from the passenger cabin all the way to the PCM at the front of the car. The wires going from the shifter have to go all the way to the PCM. You will have to push those 3 wires through the grommet in the firewall to get them through to the inner fender. A bit of a pain to do this, but this is the only PITA part. Next I needed the connectors for C307 both male and female. These are on the shifter box and replace the ones that are there now. The current wires going into those connectors use larger pins, so I had to change them all out to smaller pins. Make sure you keep track of what you plug into the male and female connectors so that they match!! The 3 wires from the shift **** are for select shift. The white wire from the **** is for shift up and will go to pin 23 on connector C175B on the PCM. The brown one is for shift down and goes to pin 24 on the PCM C175B. The black wire is signal return and goes to pin 56 on the PCM C175B. Once the wiring was routed to the PCM, I had to add pins to slots 23 and 24 in C175B as those slots are empty (The bottom of the 3 connectors in the PCM. Unplug them all to get access). The third wire I tapped into the wire going to pin 56. Last edited by jim010; 6/8/14 at 02:55 PM. If you are putting the cluster in a 2011/12, then you will need to do some wiring to get the steering wheel switch to work. First, disconnect the message center buttons on the headlight switch module. Just disconnect it from the back. It will no longer be used. You may want to get the 2013 headlight switch module which blanks out the message center buttons. Then, you will need to tap into 2 wires coming out the connector from the back of the cluster. The connector is C220, and you want to find the wire coming out of pin #6. It is a green wire with a purple stripe. Tap into this wire. Run that wire to the clockspring in the steering wheel. On the dashboard side, there is a connector (C2274A). You will want to insert the wire you ran from the tap into slot number 3 in the connector (These slots are numbered on the connector). The slot will be empty, so you will have to insert a pin in there. I had an old dash harness that I used to source the proper pins that I needed. You may need to go to an electronics store or electronic repair shop to get the pins you need. On the steering wheel side of the clockspring, on connector C2274B, you will insert a pin (just as you did on the other side) into slot #6. Run a wire from pin #6 on C2274B all the way to the connector that plugs into the left steering wheel switch (C2998). You will insert a pin into slot #2 of connector C2998. Again, you will need to source a pin. That was the message signal wire. Now you need to do the message return wire. Go back to C220 on the cluster. Find the wire coming from pin #4. It is a white wire with brown stripe. Tap into it. Run the wire from the tap to C2274A on the clockspring (dashboard side). Plug into slot #11. On the steering wheel side, run a wire from slot #12 on connector C2274B to the steering wheel switch connector C2998. Plug into slot #3. Message center button should now work. Finally, on connector C2998, you will remove the pin (don't cut the wire) in slot #2 will now go into slot #1. This is for cruise. It will not make cruise work right, but you need to do this for when your PCM gets flashed into a 2013. If you are using the Black Box from Redline Tuning, then the buttons on the cruise control will be messed up. You will take the switch, take it apart and take the circuit board to an electronics guy to change the resistors as shown in the pic below. Last edited by jim010; 5/25/14 at 10:58 PM. If you buy a used cluster, you will need to get the odometer changed. Cheers to all that worked on this project, especially Jim010 and dhmines. Last edited by zeroaviation; 5/20/14 at 07:12 AM. FYI ... when adding the LCD cluster to a 2013/2014 Base car .. there is nothing that needs to be done to the ABS module ... Track Apps will just automatically work. There is a hick-up if you have an automatic. Which most of you don't have anyway, so not an issue. Do tell please!! I have a base 14 auto and would like to do a 13 boss cluster. Will it work? What extra will need to be done? You will have no problems. You are good to go. Only owners of 11/12 autos will come across the problem I did. But I have a solution in the works. Awesome! 12 auto vert here....please keep me/us posted when you've got the solution worked out...btw, how much I one of these clusters, new? This is too tempting!!! When I'm ready I know where to go and who to ask.... Thanks guys. So how is the PATS thing performed? Is it something only a dealer can do? Good question. We would have to get that part number from dmhines. I never did replace mine. You cannot buy just the bezel. You have to buy a 2010-2012 used base light switch and bezel off eBay and swap switches. Then PATS will need to be done, or you won't be able to start your car. 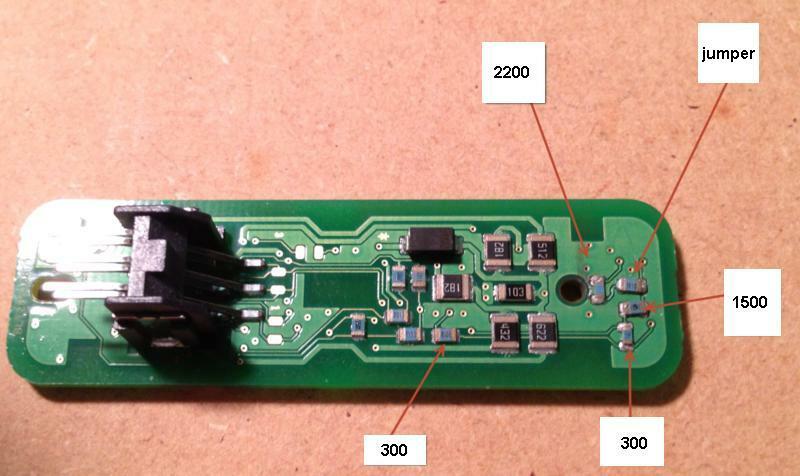 PATS is the cluster recognizing the chip in your key and then allowing the car to start.